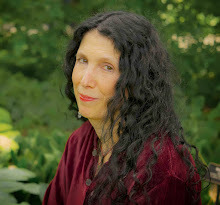 Robin's work has also appeared in Tin House, The New York Times, TheAtlantic.com, and The LA Review of Books. 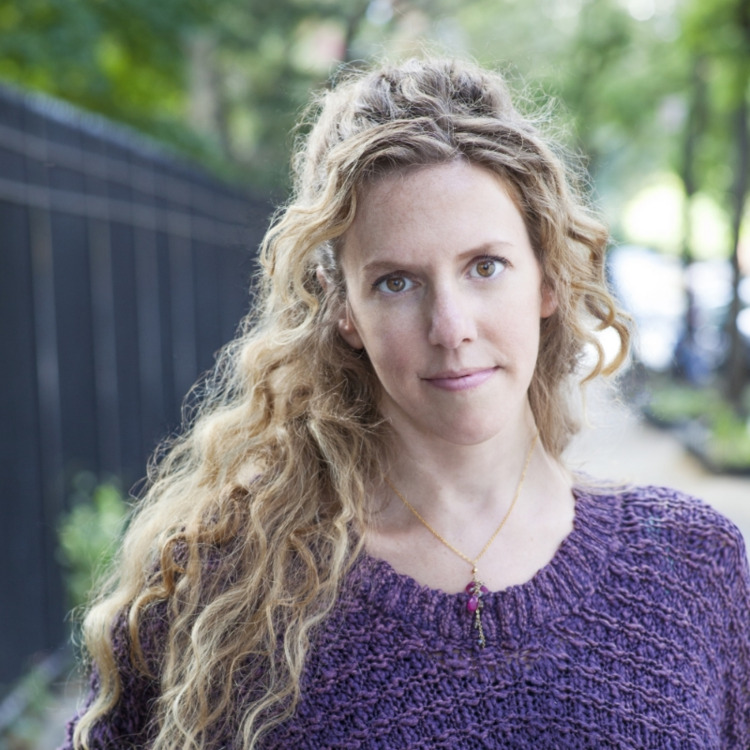 her YA books s include The Waking Dark, The Book of Blood and Shadow, and the Seven Deadly Sins series, which was adapted into a television miniseries. AND, you can read an excerpt of Girls on Fire here. I always feel that writers are somehow haunted into writing a particular novel. Were you? And if so, what was your ghost? I love this theory, and a nagging ghost makes as much sense as any other explanation of where ideas come from. I’m haunted by the spectres of friends past: A long string of wild girls who I imagined would be, if not my soulmate, then my salvation, escape from a life of mundane desperation. My first best friend, who chose me when we were eight and ditched me cold when we were twelve, set the pattern: She was exuberant, stubborn, willful, bossy, and seemed—at least to my shy, rule-following eye—exhilaratingly herself. I spent my childhood and teen years chasing after this feeling, the joy and relief of being attached to someone who seemed prepared to set the world on fire, the permission it granted me to be both more and less myself. All these years later, I’ve been fascinated by the dynamics of that kind of friendship: Why was I so eager to play sidekick? And, more mystifyingly, what did all those wild girls get from letting me tag along? What was it about me that I still couldn’t see for myself? Those are the questions that first sparked Girls on Fire, and I guess you could say the novel is my effort to finally exorcise the ghost. This is your first novel for adults, yet so many YA novels are read by adults, too, that I'm often perplexed at the difference. Did it feel different for you writing Girls on Fire? Did anything surprise you about it? The biggest difference involved allowing myself to write more about the adult characters, specifically the mothers. While not a huge part of the book, page-count-wise, these women—and the question of girlhood transformed into motherhood, of the generation gap and efforts to cross it—became a really fundamental element for me. I started thinking of the novel as not just a passionate friendship romance between three girls, but an exploration of girlhood itself. It turned out that after a decade of writing for teenagers, I had quite a bit I desperately wanted to say about them, and I poured all of that into this book. It feels like putting the period on a very, very long sentence. Violence, loneliness, repair, secrets--that is all part of girlhood friendships--and I think they somehow mark us through the rest of our lives. Do you agree? Speaking as someone who, as an adult, has written about almost nothing but the violence, loneliness, repair, and secrets of girlhood friendship, I’d better agree! I will admit, I used to be much more confident about the “rest of our lives” thing, but I’ve discovered that as I make my way through my thirties, my teen years are starting to feel further away than ever before. I mean, obviously they are, chronologically—but they also feel emotionally less relevant, as I finally get it through my thick head that the image I formed of myself at age 13 (awkward, weird, blunt, frizzy-haired, booksmart but people-clueless) isn’t necessarily accurate anymore. I feel less beholden to the mistakes I made and the things that happened to me, less inclined to say, “I’m the kind of girl who _______” based on choices I haven’t made for the last fifteen years. That said, whoever I am now and whoever I become, it’s because of those early days: The people who hurt me, the people I loved, the dreams I had for myself. As evidenced by the fact that I’m clearly still holding a grudge against the friend who dumped me in sixth grade! I don’t really remember what I made for dinner last night, but I remember viscerally where I was on the playground when I overheard her telling someone I wasn’t her best friend—I’m never going to forget how that felt, and for better and worse, some part of me is always going to be that girl, feeling abandoned and alone. Tell us what kind of writer you are. Do you map things out? Follow your pesky muse? Do you have routines and charms that urge you along? Your language is so diamond gorgeous that I wonder which comes first for you, the voice or the story? Or do they occur at the same time! If I have a muse, he or she should speak up, because we’ve got some things to discuss. Specifically, why he or she isn’t a little speedier on the genius-idea-manufacturing front. Let’s step it up, shall we? Why should I be the one doing all the work? For me, coming up with ideas is brute force labor, and it’s partly because the story always comes first. I’ve long wished I could be one of those writers who just starts out with an image, or the sense of a character, and wanders her way leisurely down the narrative’s garden path. But for whatever reason, that’s never worked for me. I have a million documents on my computer with a first paragraph or first sentence—some phrasing or voice that’s captured me and seems violently promising—but that’s it. A few sentences, the ghost of a piece, and nothing more. I never return to them, I’m never forced to push past the beginning, because they’re just words that were rattling around in my head. To keep going, I need them to be attached to a story, something I feel the impetus to tell. I have kind of a split-brained process—on one side, I’ll start gravitating toward a particular kind of character, while on the other side, I’ll start circling around a nebulous kind of plot, and eventually—hopefully—there’s some alchemical spark when the two collide, and that’s when I know I’ve got something. The voice comes last. I don’t outline fiction, but I do spend a lot of time thinking through characters and making notes on scenes I want to write and emotional throughlines I want to explore, etc, before I actually sit down to page one. (Semi-related: I’m very good at procrastination.) That’s when I start worrying about the voice—it’s a little superstitious, but I don’t like typing the first sentence until I’ve already perfected it in my head, and, along with it, the sound of the story. So by the time I start writing for real, the voice tends to be fully formed. 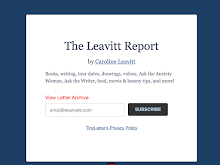 The Longform podcast (I’ve always been too nervous to do much journalism myself; the podcast lets me live vicariously). The dark net. Moral panics about female adolescent sexuality. The Hamilton soundtrack. The democratic primary. Paris. The subprime mortgage crisis. Books about 1970s ballet. Girls. The neuroscience and philosophy of mental imagery. Creationist dinosaur hunters. Child stars. The photo-taking impairment effect. Nostalgia. Toast. Here’s a ridiculously un-original suggestion: What am I reading right now? I usually hate this question, because either my mind suddenly goes blank or I’m reading something thoroughly underwhelming—or I expend way too much energy trying to come up with an answer that will somehow encompass everything about my literary soul (or, less purely, boost whatever friend of mine has a new book out). But on this particular day, I just happen to have finished the most remarkable book, and I desperately want the rest of the world to know about it: The Association of Small Bombs, by Karan Mahajan. This novel, which plays out the consequences of a marketplace explosion for both the victims and the perpetrators—although that’s such a reductive synopsis it doesn’t even begin to get at what Mahajan is doing—starts out really good and gets better. Then it gets astounding. This is one of those books that makes me want to be more ambitious in my own writing—that makes me remember exactly what a powerful story can do. READ IT. Followed Leon's suggestion that I read this post, and now I have two books to add to my reading list! 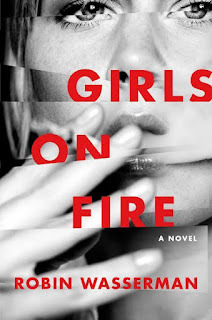 Looking forward to diamond gorgeous prose in Girls On Fire, and to being astounded by The Association of Small Bombs.